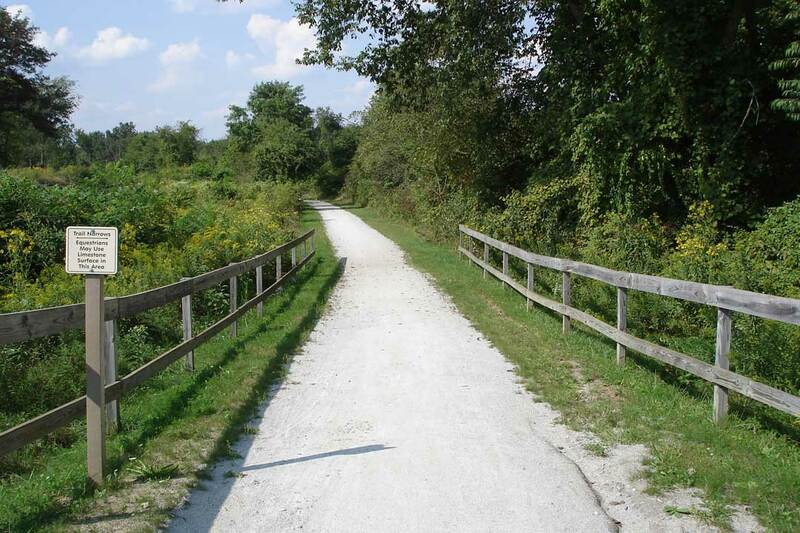 Enjoy hiking and biking on the 5.74 mile limestone surface trail or horseback riding on the wide compacted grass berm with mounting blocks. This scenic route follows along the western edge of the Tuscarawas River near the Ohio & Erie Canal and parallels an active railroad from Canal Fulton to Jackson Township. Parking, including space for horse trailers, is available on Cherry St. in Canal Fulton and at Butterbridge Rd. 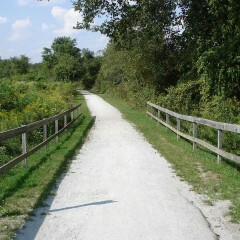 The Forty Corners Trailhead on the Towpath Trail can also be used for general parking. The Olde Muskingum Trail has been adopted by the People First Club of Stark County, and the club sponsors cleanup projects along the trail throughout the year. 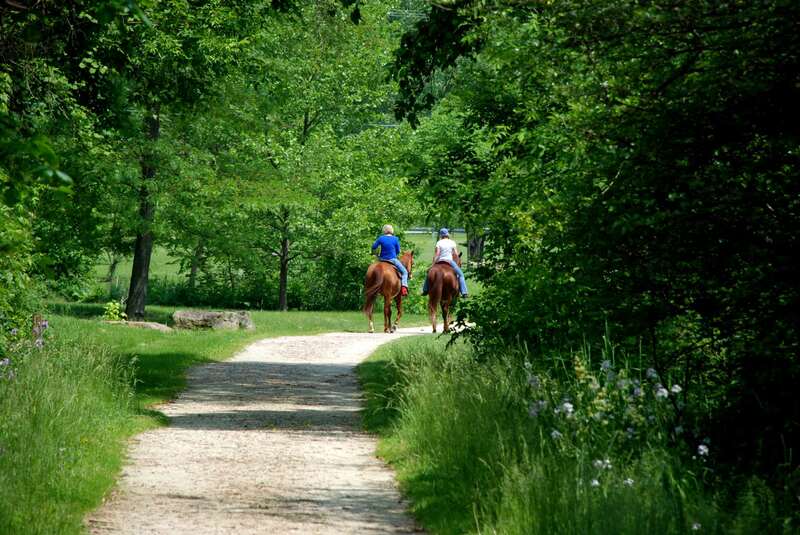 Olde Muskingum Trail is ideal for horseback riders.